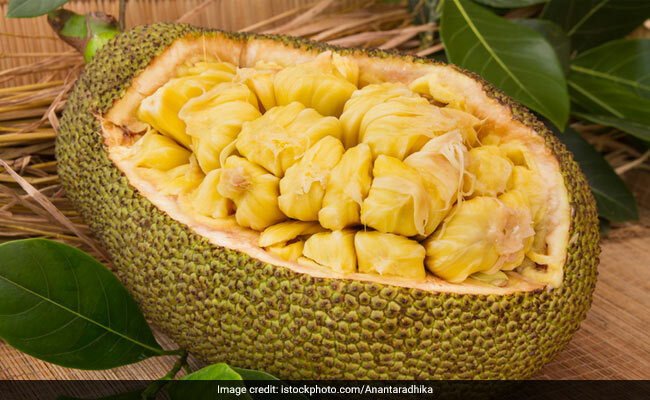 Pretty much everybody in India is familiar with the green scaly-skinned jackfruit which has a bright yellow pulp. Not only that, the fruit is also incredibly nutritious and is currently making a splash in the West, as a great vegan alternative to animal meat. The fruit is packed with nutrition, which is why it is replacing chicken, turkey, beef and other meats in dishes like pizzas, burgers, pastas etc. Jackfruit, also known as katthal in Hindi, traces its origins to regions in Kerala, Karnataka, Maharashtra and Goa. This is why this nutritious fruit is added to a number of traditional curries and vegetarian rice preparations in these Indian states. 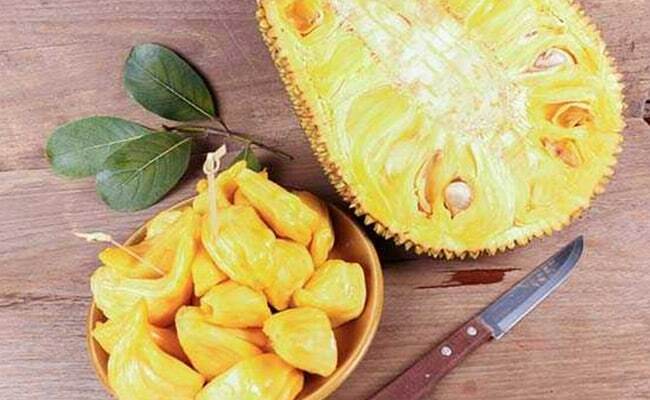 Jackfruit is gaining popularity around the world, as the vegan trend picks up heat and the demand for the fruit is indicated in its increased exports from Kerala. So if you are thinking of going vegan, jackfruit is one fruit that you should befriend. According to the United States Department of Agriculture data, jackfruit is packed with nutrients. The fruit is rich in calories- a 100 gm portion contains 95 calories- but these calories aren’t empty. The same portion of the fruit also packs in 1.5 gm of dietary fibre, as well as 1.72 gm of protein. It also contains 13.8 mg of vitamin C, as well as 24 mg of calcium and 29 mg of magnesium. Jackfruit is considered an instant energy-booster in Ayurveda as well and it is rich in a number of essential vitamins and minerals. The fruit can be consumed raw or added to a number of vegan and vegetarian preparations, as a replacement of meat. It has a distinctive sweet and fruity aroma and the pulp is quite starchy and fibrous. It is also low in fats, with a 100 gm portion of jackfruit containing just 0.64 gm of fats. 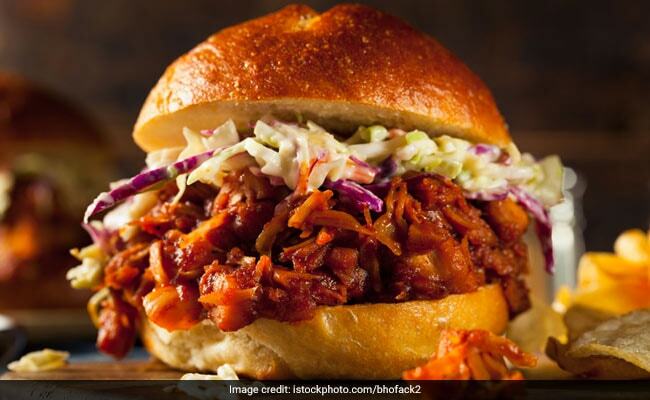 It can act as a meat replacement because cooked jackfruit has a meat-like texture. This dry subzi is a great addition to any vegan diet. Jackfruit is fried and then cooked in an assortment of spices with tomatoes to add flavour. It can be enjoyed with crispy, hot parathas or rotis. Looking to give up meat, but love your burgers too much? Jackfruit to the rescue! The shredded jackfruit is spiced with turmeric and red chili powder and flavoured with garlic, to be finally added to soft toasted buns. It’s the perfect vegan snack! This is the perfect vegan alternative to pulled pork BBQ sliders. Even the most ardent non-veg fans will not be able to resist this amazing dish. Jackfruit Nutrition: Can you believe this slider is vegan? Asian food lovers can now peacefully enjoy their favourite Thai curry with this easy meat replacement. This red Thai curry recipe is just perfect to satiate your Asian food cravings. Katthal can be spiced and pickled just like other fruits and veggies that we’re used to enjoying in India. This achaar recipe is about to become your new household staple! Jackfruit can also be made into ice-creams and its seeds can also be toasted and enjoyed. Jackfruit seeds are also cooked and added to burfis, halwas etc. to add nutrition to these sweets.